Back in my youth (1999 or thereabouts), when I was thinner and less prone to gravity, I had a go at a static-line solo jump in the UK from 4000 ft. It was for charity and I don’t like to talk about it. That, and I don’t have any pics. Had another go (tandem this time) a few years ago in California for a chum’s stag do in 2005, nearer 17000 ft, which was quite high up. 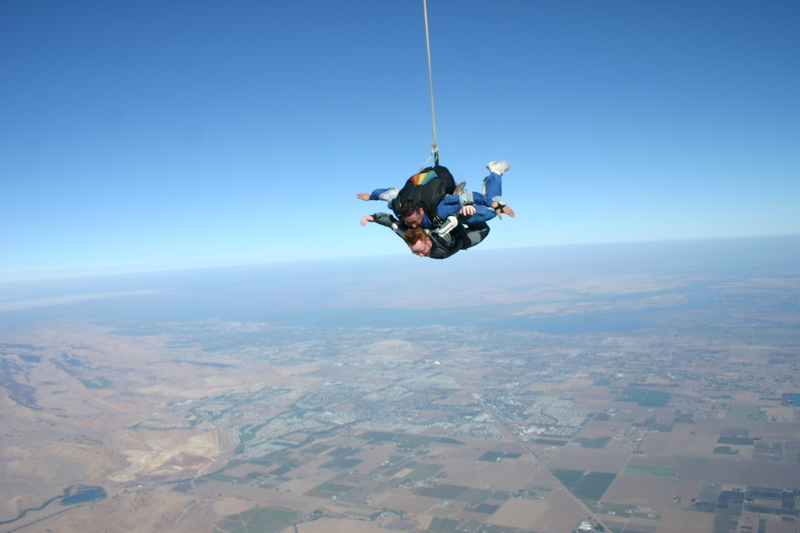 The minute of freefall required a considerable amount of swearing.